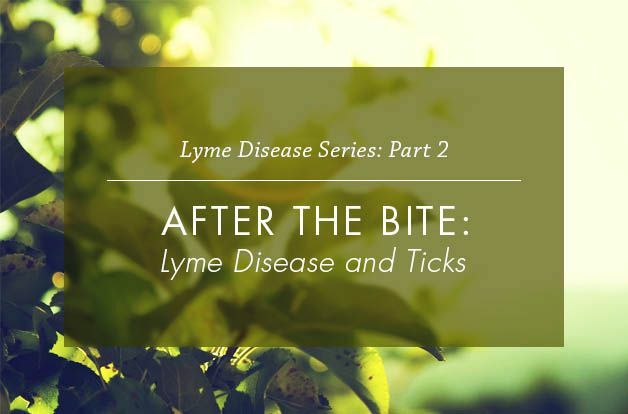 Read the latest chapter from Dr. Rawls’ new book, Unlocking Lyme, on Lyme disease, which offers a closer look at what happens inside the human body after a tick bite. Absolutely motionless, it remains perched on a twig extending across your footpath. All it needs is a warm-blooded creature like you to come along. Time is of the essence, however, as it has great risk of drying out and falling dead to the ground — that is the fate of most ticks. To gain protection from temperature changes and drying out, a tick spends most of its life under leaf litter. In desperate need of a blood meal, it makes the arduous climb up and out onto the twig, even though the chance of completing its mission is extraordinarily small. When you happen along and brush against the twig, the tick makes a great leap of faith, hoping to connect with skin, hair, or clothing. After a successful landing, it makes a spectacular dash to a soft, hidden place and immediately buries itself into your flesh. On penetration, chemicals present in the tick’s saliva numb your skin and inactivate the first response portions of your immune function, protecting both the tick and the microbes it carries. All ticks carry microbes. The possibility it’s carrying some form of Borrelia is high. After all, Borrelia has honed a working relationship with ticks over millions of years. Simultaneously, blood floods into the tick. Borrelia microbes present in the tick assess the blood to determine which type of host the tick has bitten. Borrelia is able to adapt to a wide variety of hosts, but each host is different. By sensing the blood, Borrelia can alter its genetic profile to adapt to the environment inside your body. When Borrelia microbes enter your bloodstream, they’re ready and able. But because humans are well acquainted with Borrelia, your immune system is well prepared to fight them off. Though immune inhibitors present in tick saliva briefly give the microbes a slight advantage, they immediately find the first responder cells of your immune system hot on their trail. For this reason, Borrelia microbes clear the bloodstream quickly and penetrate deeply into your tissues. With its corkscrew shape, Borrelia drills into joint cartilage and brain tissue. It can also enter and thrive inside many types of cells, thus gaining protection from immune functions and antibiotics. It’s during this transition that symptoms of initial infection can occur. Immediate recognition by the immune system prevents overwhelming infection, so symptoms are generally mild. Typically, most people have a benign flu-like syndrome that lasts a week or more, but often noticeable symptoms don’t occur at all. Rarely is acute infection with Borrelia ever enough to put someone in bed. Antibiotics taken during this period are known to reduce symptoms, but whether antibiotics completely eliminate Borrelia is unknown. Borrelia is a master of penetrating spaces in the body where it’s shielded from the immune system and antibiotics. All too numerous reports of people developing chronic symptoms months after taking antibiotic therapy attest to the persistence of this insidious microbe. What happens next depends on your immune system health. If your immune function is robust, you and the microbe enter a balanced host-microbe relationship. Overtly symptomatic illness does not occur — this is nature in balance. A balanced relationship is actually in the best interests of the microbe. Consider the microbe’s motives for survival. To complete its lifecycle, all it needs to do is quietly exist inside your body until another tick comes along. Low concentrations of the microbe are adequate to complete the mission; it doesn’t need to overwhelm you with infection. For the microbes now dwelling inside your body to complete their mission, you must be bitten by another tick (and preferably many more ticks). The microbe actually needs you to be functional and mobile. If you’re severely debilitated or mortally ill, you are less likely to be wandering the woods and picking up new ticks. Every time you’re bitten by a new tick, the microbe has another opportunity to spread. Allowing you to live for a full lifetime allows for unlimited opportunities. In other words, turning you into a Borrelia dispensing machine is the microbe’s chief mission. If all goes according to nature’s plan, other ticks come along regularly. Each time a tick bites you,1 the tick’s saliva circulates throughout your body. Chemicals present in saliva send the “all aboard” signal for any Borrelia microbes present in your tissues. Upon sensing these chemicals, the microbes mobilize from deeper tissues, flood into the bloodstream, and get onboard the new tick. In other words, a tick bite can be a two way street: microbes coming in, microbes going out. So, if you’re harboring Borrelia (whether you have symptoms or not) and get sick after being bitten by a tick, it may be caused by microbes flooding out of your body as much as the microbes entering it. Ticks require a blood meal during each of their three stages (larva, nymph, adult). Borrelia can be transferred at any stage, but Borrelia transfer during the nymphal stage is most common in humans because nymph ticks are so small (the head of a pin) they go unnoticed. Female ticks lay about 2,000-3,000 eggs in spring, which take a month to hatch into larval ticks no bigger than a pinpoint (fortunately most eggs and larvae are eaten by other insects). Borrelia can be transferred into eggs and up to a quarter of larval ticks are infected at birth; each feeding also provides opportunity for ticks to acquire Borrelia. Peak feeding for larval ticks occurs in August, primarily on small animals closer to the ground such as mice (but humans can still be bitten). After engorgement, larval ticks molt into nymphs, hibernate over winter, and awaken hungry in the spring. Peak nymphal activity is in spring through summer, when most Borrelia infections occur. After engorgement, nymph ticks molt into adults, with peak feeding activity October through November. Adult ticks go dormant over winter and then lay eggs in spring, making the cycle complete. Ticks infected with Borrelia are much less prone to dehydration, can take larger blood meals, have larger fat stores, are more cold tolerant, can climb higher, and are faster. Tick lifespans and lifecycles are typically longer in very southern or tropical locations. Though Borrelia is typically spread by ticks, it has also been found in other biting insects including mosquitoes. The fact that whole families sometimes test positive for Borrelia suggests that it can be spread by sexual contact and possibly even through the womb. Borrelia has very sophisticated mechanisms for manipulating the immune system to allow it to exist indefinitely. It’s always trying to stay one step ahead of immune functions. A master of disguises, it can modify its surface proteins almost continually to keep the immune system guessing. Borrelia is able to shift its genes to adapt to any environment within a host. It actually has the ability to adapt to different tissues (heart, joints, brain, skin, etc.) such that different strains of the microbe often occur within the same host. Because every person’s internal ecology is slightly different, a Borrelia infection is different for every person. Borrelia is very adept at using its corkscrew shape to penetrate into cells, where it forms vacuoles that fill with new microbes (one of the ways it reproduces). Unlike most bacteria, however, it grows very slowly, creating new generations only every 8-12 hours (unlike other bacteria that typically produce a new generation every 20 minutes). Cell types that Borrelia can infect include white blood cells. This enables the microbe to catch a ride to established sites of inflammation, such as arthritic joints. There it will find abundant collagen, its favorite food source, already broken down and ready to be scavenged. If things really get hostile, it can curl up inside its protective outer membrane sheath and form an antibiotic resistant dormant cyst (also referred to as a round form or persister cell).3 When under extreme assault from the immune system or confronted with antibiotics, Borrelia progressively shifts from spirochetes to round forms (cysts). In other words, the harder Borrelia is hit with antibiotics or immune function, the more it encysts. As the microbe shifts from active to encysted, symptoms decrease…but the relief is only temporary. After the hostile environment resolves, cysts quickly form new active spirochetes. And then…there are biofilms. Borrelia, like most all other bacteria can join with other microbes to form colonies shielded by a protective coating. Biofilms are extremely common in nature. The ring around your toilet bowl and the plaque on your teeth are prime examples. Though you hear a lot about biofilms in Lyme disease forums, Lyme disease by nature is not a biofilm disease. Biofilms require a surface on which to form (such as the teeth, lumen of blood vessels, lining of the intestinal tract,4 and ventricles in the brain). Symptoms related to biofilm occur as a result of obstruction or damage to the surface. Though Borrelia may persist in biofilms (making it resistant to antibiotics and immune function), Borrelia microbes living inside of the biofilm do not actively cause Lyme symptoms. To survive, Borrelia must scavenge essential nutrients from the host. To get at these resources, it manipulates chemical messengers of the immune system called cytokines. Using cytokines, it can shift immune functions away from attacking the microbe and toward causing inflammation in tissues. Inflammation breaks down tissues and and releases vital nutrients to the microbe’s ultimate benefit. Because collagen is the primary nutrient Borrelia requires for survival, the microbe has a preference for collagen-rich tissues such as joints, brain, muscle (heart muscle especially), eyes and skin. Most symptoms associated with chronic Borrelia infection originate in these areas. The microbe is also fond of myelin, a fatty substance that forms a sheath around nerves. Myelin is like the plastic coating on a copper wire; it insulates the nerve from other nerves and allows impulses to be conducted properly. Without it, nerve function is impaired, causing a wide range of neurological symptoms (Multiple Sclerosis-like symptoms are common). For the most part, the intensity of the immune reaction (cytokine production) dictates the intensity of a person’s symptoms, not the concentration of microbes. In other words, it doesn’t take a high concentration of microbes for someone to be very sick. The fact that Borrelia microbes typically exist in very low concentrations in the body is one reason why Lyme disease is so difficult to properly diagnose. If the immune system had never encountered Borrelia before, all of its fancy maneuvers would be absolutely devastating. But Borrelia’s complex adaptations did not occur overnight. It is the result of Borrelia and host immune systems “one-uping” each other; the microbe finding a new way to outsmart the host immune system, and the host immune system responding with an innovative solution to counteract the new threat. This has been going on and on for thousands upon thousands of years, one adaptation matched by another. In this regard, the human immune system is very savvy to all of Borrelia’s tricks and is eminently qualified to deal with them. This is an old game and the human immune system is an equal or better match for Borrelia. A healthy immune system has the ability to seek out and destroy it, wherever it may hide. This is even true of cysts (round forms) and biofilm. Borrelia is not the only microbe that forms cysts and the human immune system is well equipped to deal with them. Neutrophils, one of the champions of all immune cells, are very adept at killing cysts. They create a net that captures all types of microbes (big and small) and cysts. Once captured, the neutrophil secretes enzymes and substances to kill and digest the foreign invader. A healthy immune system is the best answer to Borrelia cyst forms. When it comes to biofilm, advanced life forms wouldn’t be able to exist without effective mechanisms of breaking down biofilm. Microbes of many varieties are constantly trying to form biofilms in the body and a healthy immune system is constantly breaking them down. Again, a healthy immune system is the best answer to biofilms. This is actually nature as intended, a balanced relationship actually works well for microbes like Borrelia (but not necessarily for the host). All creatures have balanced relationships with a huge variety of microbes, even some that have potential for harm like Borrelia. Illness only arises when a weakened immune system is unable to suppress the natural aggressiveness of the microbe. How sick someone gets is dependent on how weak the immune system is and the natural aggressiveness of the microbe. Borrelia is more aggressive than microbes that are considered normal flora, but much less aggressive than other microbes that cause severe acute illness (such as Ebola virus). Once a microbe like Borrelia gains the upper hand, however, a vicious cycle of immune compromise is perpetuated by the microbe, and chronic misery sets in for a lifetime. The degree and types of symptoms associated with chronic infection are highly variable; Borrelia infections are different for every person. The range of symptoms is dependent on the species or strains of Borrelia present in the host, the total microbial burden7 of the host (other potential pathogens present), the degree of compromise of the host’s immune system, and the genetic makeup of the host (some people may be more susceptible to Borrelia than others). Classically, Lyme disease is divided into three phases: Early Localized Disease, Early Disseminated Disease, and Late Disseminated Disease. As with so many things in the world, however, Lyme disease is hard to put into black and white. It is mostly a big gray zone when it comes to definitions and nothing about Lyme disease can be considered classic. People with early localized disease do not experience a rash or any symptoms, and symptoms associated with early disseminated disease are highly variable. Symptoms of Lyme disease in general vary widely between individuals (because the microbe acts differently in every person it meets). Many people experience late stage symptoms despite being treated with antibiotics. Because testing is far from being a hundred percent accurate, it’s virtually impossible to define whether antibiotics eradicate the microbe from the body. In fact, there is evidence that they don’t. Amidst all the confusion, the majority of people who do think they have Lyme disease refer to themselves as having chronic Lyme disease. But they don’t care about definitions…they’re just sick and want to be well. Symptoms are associated primarily with inflammatory cytokines and not the bacteria itself. Borrelia has no genes coding for toxins that can harm the host. Borrelia does not rely on overwhelming the host with infection to be successful; significant illness can be caused by low concentrations of microbes. Lyme disease is often divided into three stages, early localized, early disseminated, and late disseminated, but the difference between the later two stages is often arbitrary. Clinically, separating Lyme disease into initial infection associated with acute tick bite and chronic Lyme disease is more useful. The longer a person has had symptoms of Lyme disease, generally the more difficult the recovery process. If Lyme disease becomes chronic, it can make you miserable for a lifetime and will cause you to age faster, but it is unlikely to kill you directly. There are a lot of people out there who consider themselves as having chronic Lyme disease, and the numbers are growing every day. Some of them have had a positive test indicating Borrelia infection, but many of them base the diagnosis on having all the symptoms of chronic Lyme disease (regardless of having a negative test). Testing for Borrelia is notoriously unreliable. The typical person claiming chronic Lyme disease (negative or positive testing) does not remember a tick bite and did not experience (or at least doesn’t remember) acute symptoms. This is because the vast majority of people who are bitten by ticks carrying Borrelia are relatively healthy. Most Borrelia infections are transmitted by nymph ticks, which are very small and often unnoticed. If the person bitten does have a healthy immune system, initial symptoms are mild (if present at all) and the microbe and the host end up in a stalemate situation – the microbe persists in the person’s tissues, but doesn’t do enough harm to cause symptoms. The person becomes an asymptomatic carrier. The asymptomatic carrier state can last indefinitely. As long as immune function remains robust, symptoms do not occur. If immune function starts breaking down for any reason, however, the infected individual gradually develops symptoms associated with chronic Lyme disease. This is how it happened for me. I spent most of my youth in the woods; I loved the outdoors. Considering the number of tick bites I encountered, the chances that I didn’t pick up something is remote. But I didn’t get sick…at least initially. I was perfectly healthy until my mid-forties when stress caught up with me. By then, I had been doing night call delivering babies (the worst call a doctor can take) for 24-36 hour shifts every second to third night for many years. I was also balancing a growing family and community involvement. Sleep became so much of an afterthought that I finally lost the ability to sleep at all. Everything crashed. Over several years I progressively developed every symptom of chronic Lyme disease. In the beginning, I talked myself out of it having Lyme Disease because all the experts said that Borrelia didn’t exist in ticks in eastern North Carolina where I grew up. But they were wrong. The most convincing evidence that suggested Borrelia has been in North Carolina for a long time came from a gentleman I met years later. He was about 10 years my senior when I saw him as a Lyme patient. He related a story of knowing the exact day he was infected with Borrelia. He had been hunting in eastern North Carolina 23 years prior to the day. He came out through heavy brush and the next day picked off over 150 “seed” ticks embedded in his skin. From that point on his health gradually deteriorated. Years later he had a definitive positive test for Borrelia along with a variety of other tick-borne microbes. He had never been out of North Carolina. This period in his life would have corresponded to the time that I was very active outdoors and being bitten by ticks regularly. Missed the first chapter? Read it now.